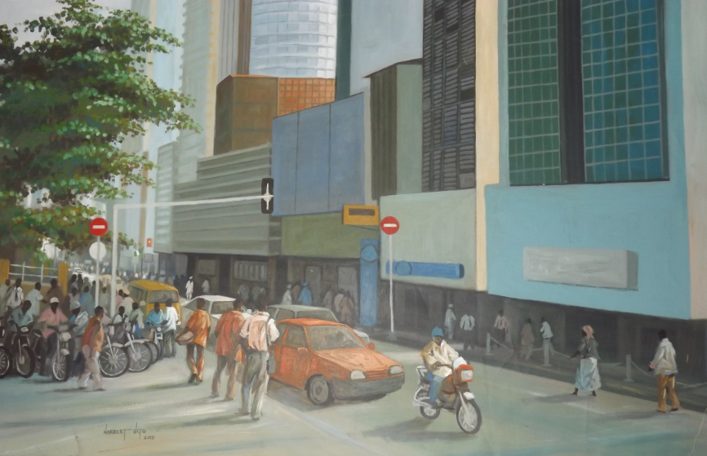 Norbert Okpu’s participation in ‘Changing Life’, a 2006 group exhibition at Didi Museum, Lagos and also at the solo exhibition ‘Our Heritage’ at Terra Kulture’ Lagos the following year, marked the end of his long absence from the Nigerian art scene. 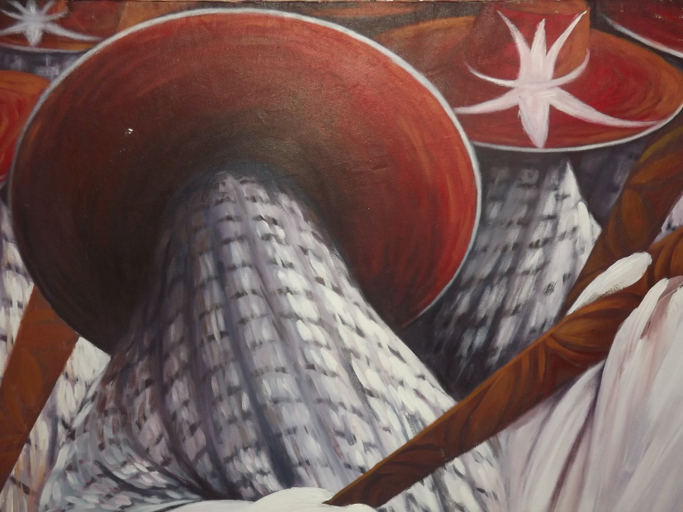 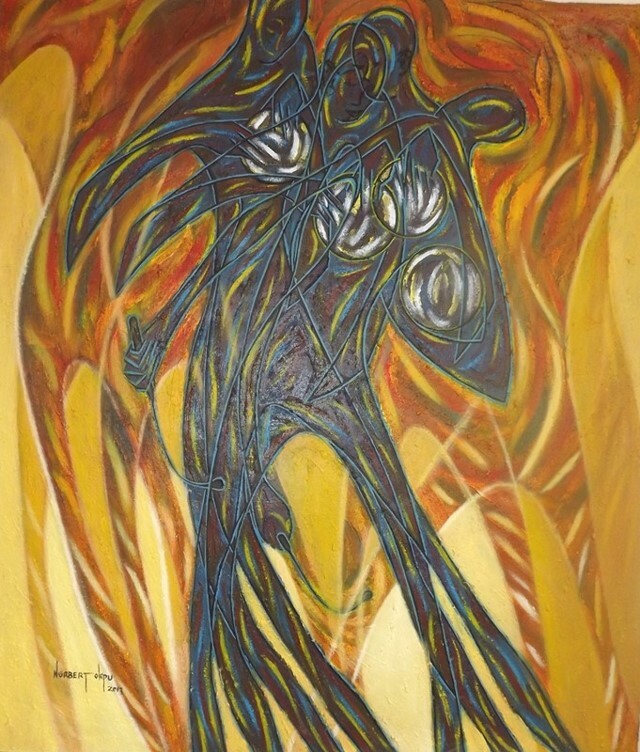 The artist stunned the public with the stylistic versatility of the works produced during this period, reminiscent of the deceptive realism of Abayomi Barbar and sinuous figuration of Ben Enwonwu’s dancing masquerades. 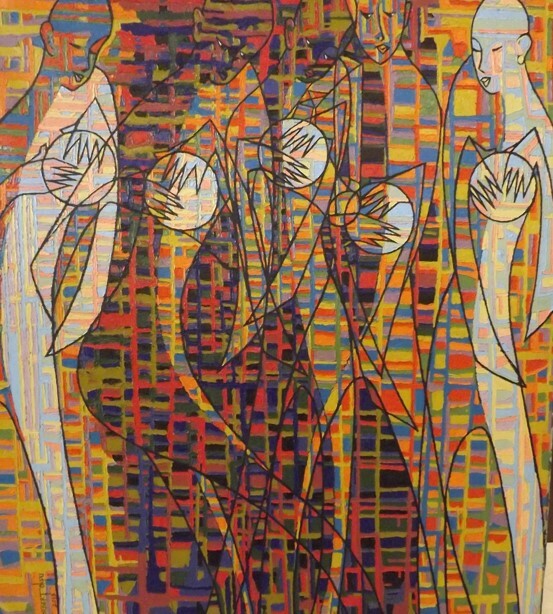 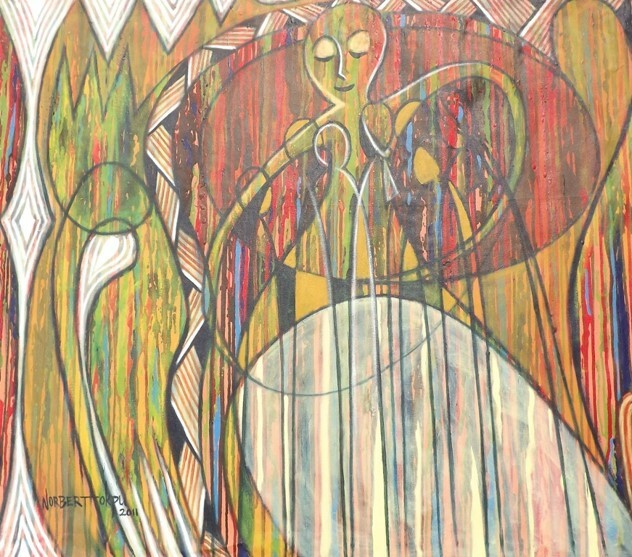 Okpu’s works produced between 2009 and 2012 and exhibited at the Omenka Gallery, Lagos and at the Amsterdam Whitney Gallery, New York, establish his experimental style. 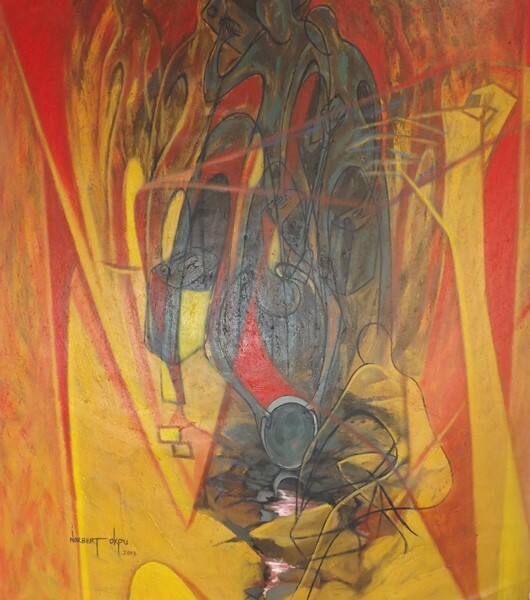 His close fragmentation of overlapping planes in the oil work, The Dilemma (2013), piqued curiosity at the Terra Kulture auction in April 2014. 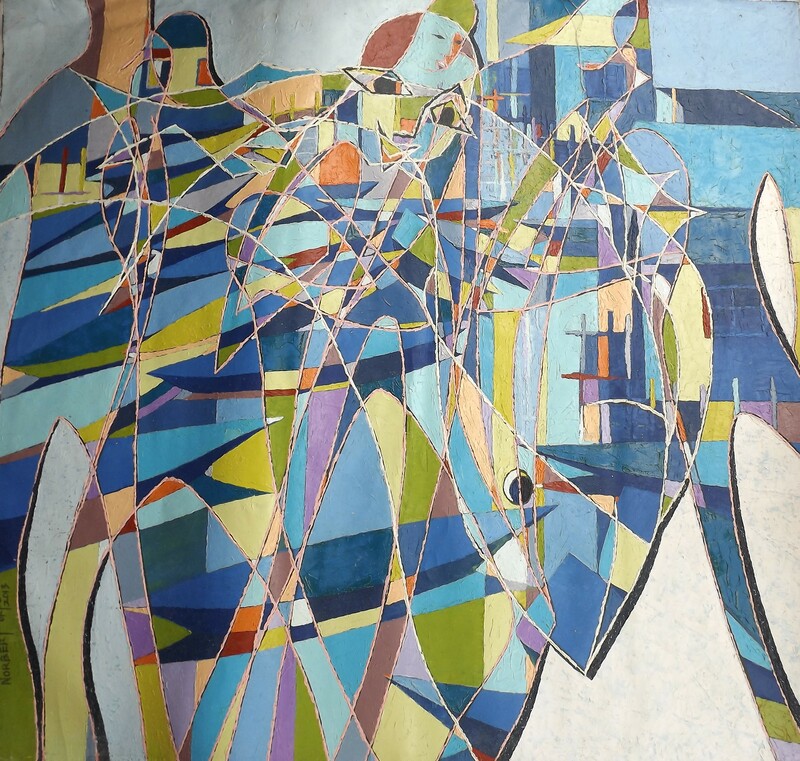 The technical structure of the piece affirms cubism with obvious geometric outlines of three bewildered figures arched without spatial depth, thus revealing how the artist has progressively evolved into one of the most visually diverse contemporary artists in West Africa. 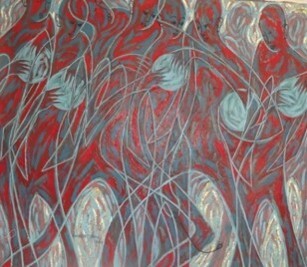 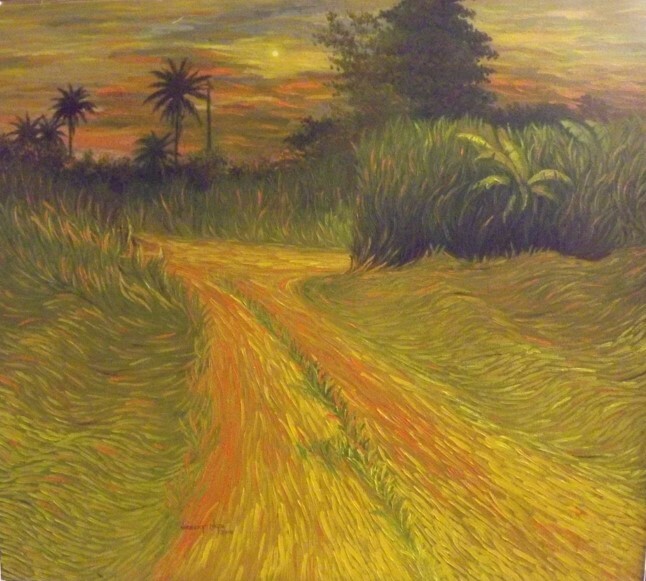 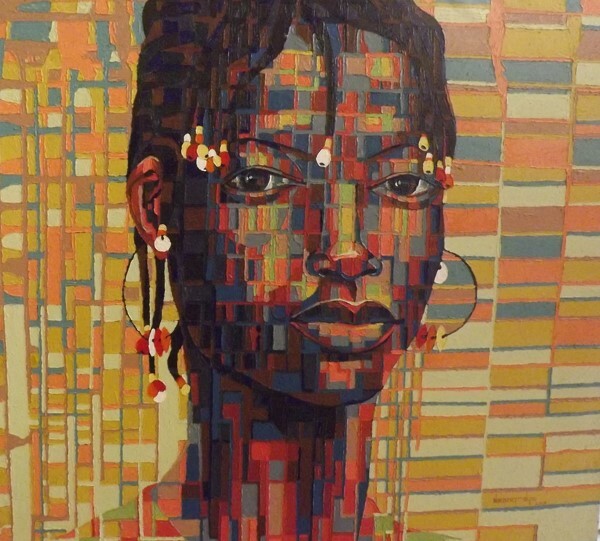 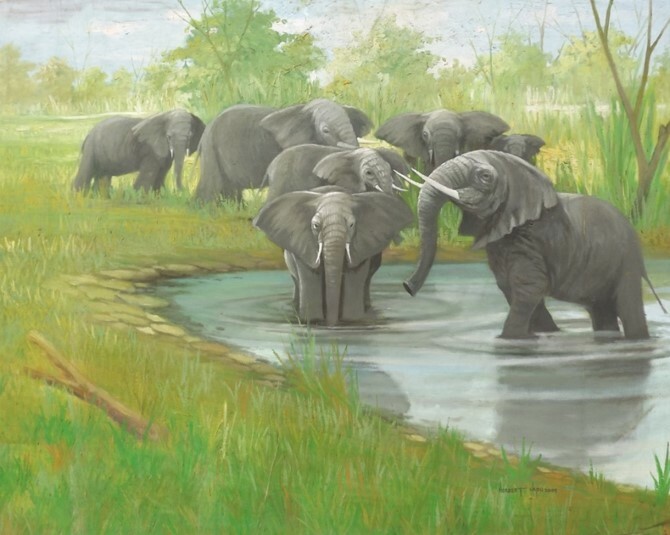 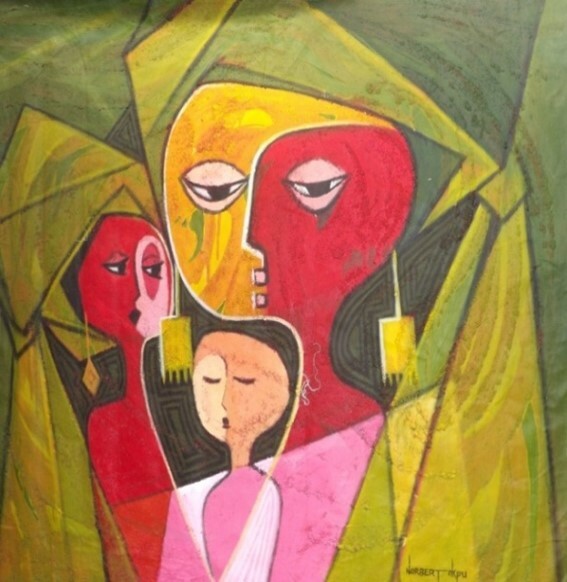 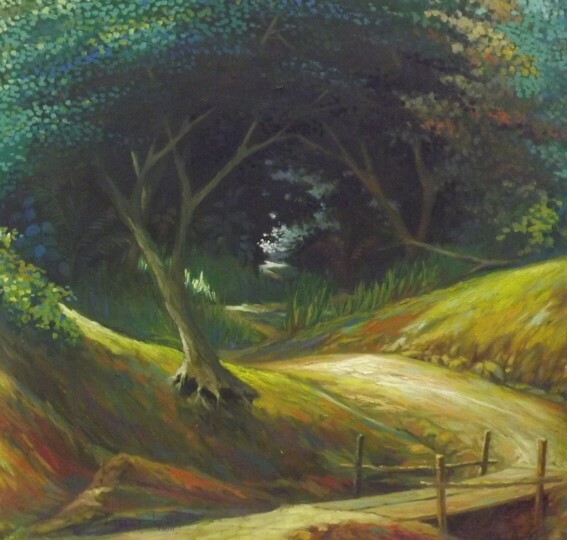 Norbert Okpu concluded his art education in 1999 at the Yaba College of Technology, Lagos. 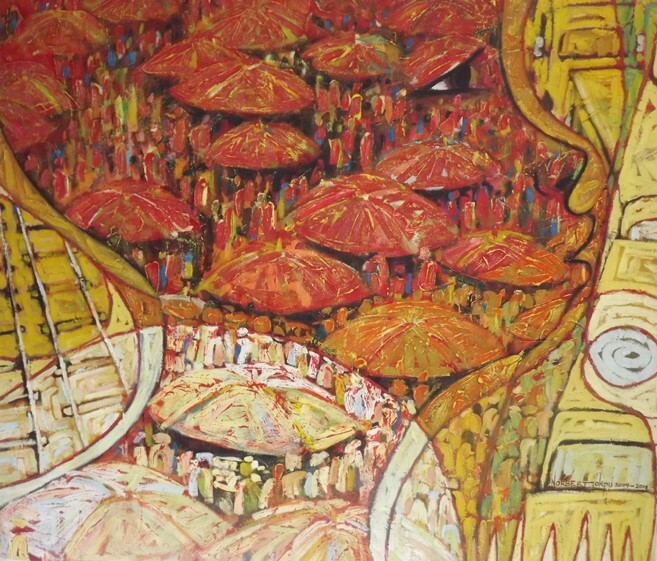 He lives and works in Lagos state Nigeria.